Happy Weekend! 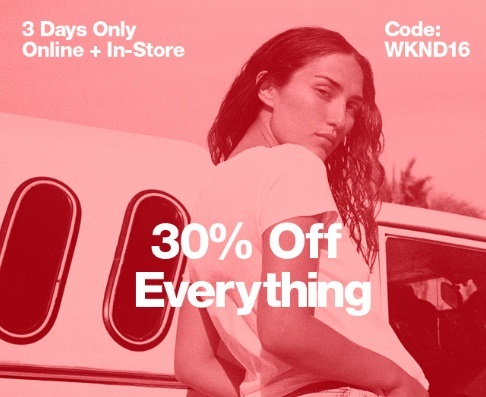 American Apparel is offering 30% off everything right now! This offer is valid in-store and online for three days only. Enter the promo code WKND16 at checkout, offer ends June 26, 2016. This applies on sale styles as well. Please note you need to be registered for an account with American Apparel as part of their Le Club to get the extra discount, otherwise it's 25% off.